We woke up to the first frost of the season over the weekend. It seems that the summer has passed over us in a blink of an eye. With the cooler weather I really enjoy a bowl of oatmeal for breakfast. 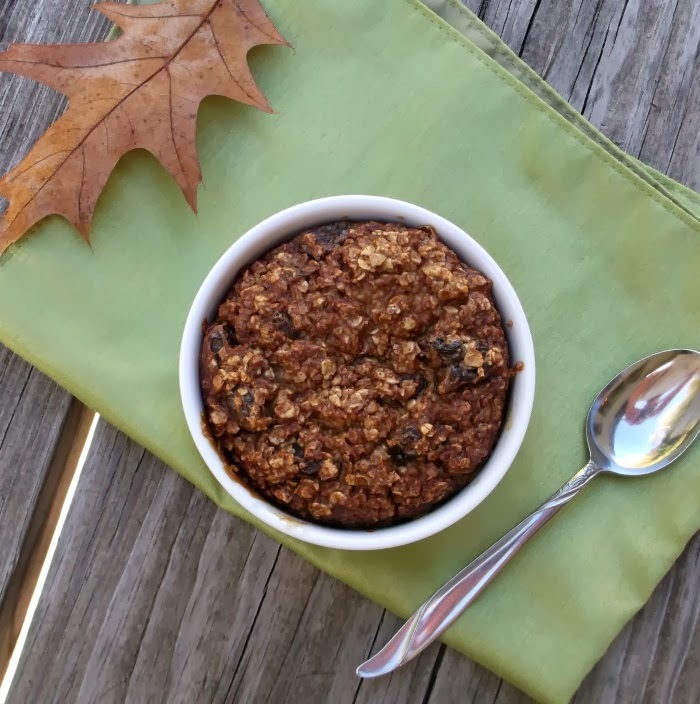 I had decided to try another baked oatmeal; I have tried a couple of different recipes and really have enjoyed them. This time around I decided to go with brown sugar and raisin, plus I added a little honey for a little bit more of healthy sweet taste. It is funny how time changes your taste in food. I remember as a kid when the weather turned cool my mom would make cooked cereal to start out our day, but back then I was not a fan. I am glad that I enjoy my oatmeal now; I wouldn’t want to miss all the goodness that this breakfast has to offer. 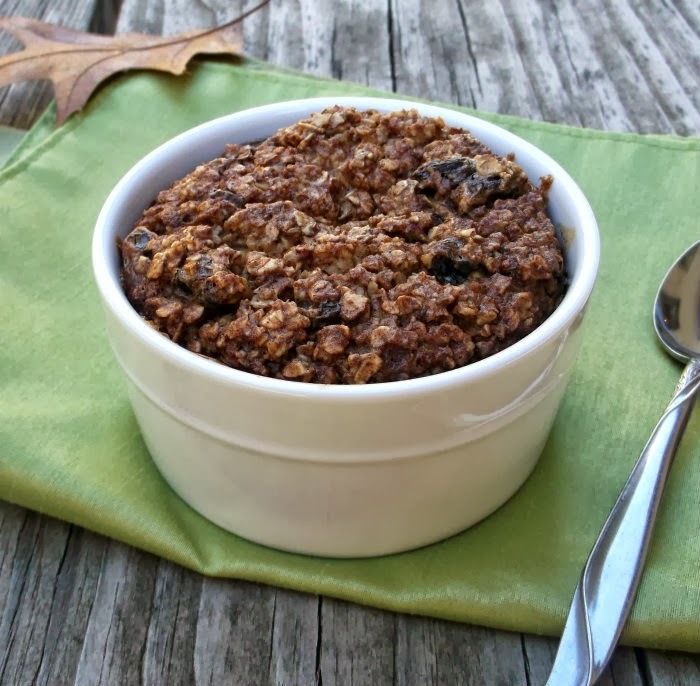 Although Mom never made baked oatmeal with brown sugar and raisins… maybe if we had this I would have become an oatmeal lover sooner. 2. In a medium bowl mix all dry ingredients and mix together. 3. Add milk and stir until well combined. 5. Bake for 18 to 20 minutes or until set. This bowl of oatmeal definitely screams FALL COMFORT. Yum. I’ve never made baked oatmeal – it looks and sounds terrific. I bet this smells delicious while it’s baking in the oven. I wonder if I’ll be tempted to pull it out before it’s done. Yeah, that’s interesting! I’d never seen baked oatmeal before either. Thanks for stopping in at Cranberry Morning yesterday. I tried emailing you a response, but your blog showed up as ‘a no-reply blogger.’ Hope you have a great day. Can almost smell that delicious oatmeal! 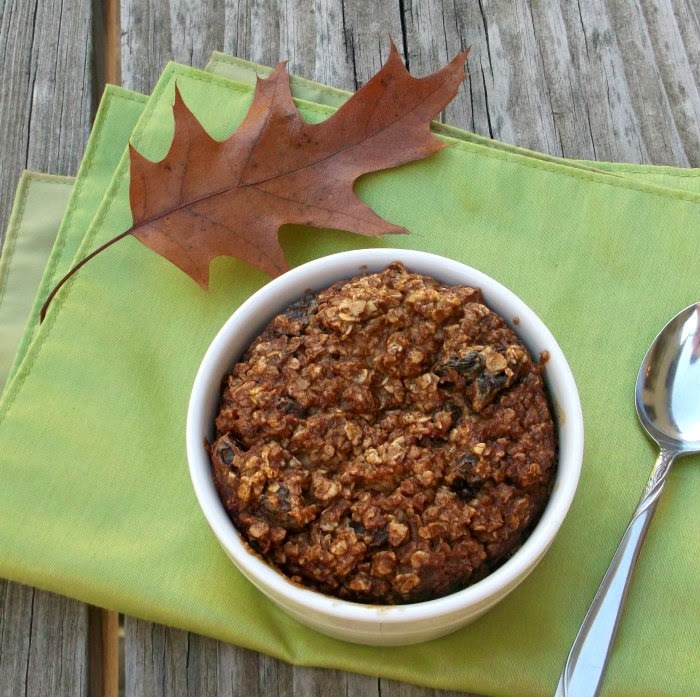 I love baked oatmeal, and this version looks delicious. I like the leaf on your photo – very fall-ish! It is funny how the change of seasons means a change of diet for so many of us! We haven’t had a frost yet, but certainly are enjoying cooler weather. And this oatmeal would hit the spot for breakfast! Thanks so much.